The digital age has ushered in the new era of gift cards – eGift cards. As the name might suggest, these gift cards have gone beyond the physical, card-based form that has been common for gift cards over previous decades – and are making use of advanced digital technology to provide a smooth, simple, and easy gift card experience. eGift cards are quite simple to understand. Even standard gift cards contain a set of numbers – similar to a credit card number – that are either printed physically on the card, contained in the magnetic stripe on the back of the card, or both. Just as with a credit card, these numbers are what identify the card – when a gift card is activated, the balance is associated with the specific numbers on the card, which may then be redeemed online by entering the card numbers and a PIN, or by swiping the card itself through a PoS credit card terminal. eGift cards simply skip the middleman. Instead of issuing a physical gift card that contains the information about the card, retailers selling eGift cards send the information about the gift card directly to the email address of either the buyer or the recipient. eGift cards can then be redeemed online, in the same way that any other gift card would be used, or in-person at a store, using a printed-out QR code, a digital wallet app, or even just by reading the numbers on the card to the cashier. But, being a relatively new technology, adoption of these eGift cards hasn’t always been smooth. Some people are still a bit confused by how, exactly, to purchase and use these cards. So we’ve put together a quick guide to help you. In it, we’ll detail what you need to know about buying eGift cards, to empower you as you use this new form of digital payment. Buying eGift cards is pretty simple – it’s a lot like buying any other item online. But there are some caveats and pitfalls that can make purchasing an eGift card online difficult, if you’ve never done it before. So follow these simple tips to help your eGift card purchase go off without a hitch. Delivery Is Usually Instant – But Not Always. One of the most attractive aspects of purchasing an eGift card is that it can be done instantly. Whether you need a gift quickly for a special occasion or are just seeking a convenient way to buy a gift card, eGift cards are a great choice, because they can be purchased completely online and delivered almost instantly. However, delivery isn’t totally instant – at least not all the time. Some sellers of eGift cards have to verify payment, run their transactions through fraud processors, and screen your transaction. In addition, heavy loads of customers purchasing eGift cards can slow down some databases – and this leads to longer delivery times.The delivery times of eGift cards are still really quick – if you’re not given your card immediately, it will likely take only a few seconds or a couple minutes to be delivered. Still, to be sure that you’ll have enough time to buy and deliver the card, you should set aside at least 15 minutes for the total buying process. This will allow you to have plenty of leeway when it comes to delivering the new card. Check The Delivery Email. Then Check It Again. And Check It Again. This is probably the most important thing to ensure when purchasing an eGift card. When you purchase an eGift card, the obligation of the merchant is fulfilled when the card is delivered – to any email address. This is the case regardless of whether or not that email address is valid or invalid. 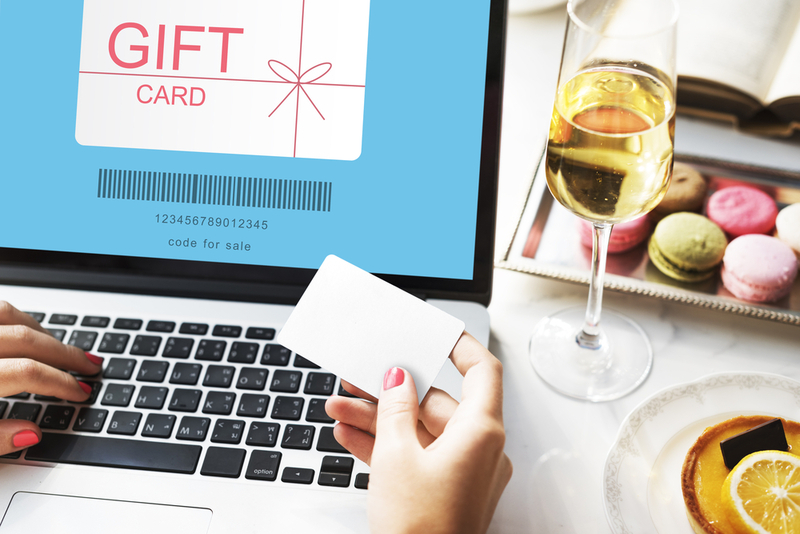 If you entered an email address for your eGift card delivery and the merchant sent out the code, their job is done – and they don’t have to help you or resend the card if you made a mistake typing in the email, or used the wrong one.Now, most merchants are happy to help you by resending the gift card code – they don’t want to lose a customer – but they don’t have to if their terms and conditions are clear about their obligations. eGift cards also can’t be rescinded once they’re purchased, so if you do enter the wrong email and can’t get help from a merchant, you’re pretty much out of luck. Because of this, it’s important to double check that you’ve entered the correct email address, and haven’t made any typos, mistakes, or letter transpositions. Consider copy-pasting the email address of the recipient from your online email client or your address book to ensure proper delivery. Make Sure Your Recipient Knows About The Gift. Each and every one of us probably deals with a huge amount of spam in our inboxes daily. Often, this spam poses as legitimate offers – coupons, discounts, or even gift card offers from merchants at which we shop. This can lead to some recipients of eGift cards not noticing their gift – or sending it to their spam folder. Some recipients of eGift cards may also be unsure about the redemption process, and may give up if they can’t immediately understand how to redeem their gift. Because of this, it’s best to understand the habits of your recipient – do they use a PC to check their email? A smartphone? And tailor your eGift card accordingly.Sending a text message or social media message requesting their most-used email is also a great way to confirm that they will receive your gift, and to alert them to the fact that they have an available eGift card. If you don’t hear from your loved one after you send the card, follow up – ask if they received your gift, and offer to help them find it. Understand Your eGift Card. Some eGift cards are omnichannel – meaning they can be redeemed either in-person, at a store, or on online shops. Cards to retailers like Target and Walmart are great examples of this style of card. However, some eGift cards can only be used online. This will be stated clearly on the website when you purchase the card, so check for language such as “redeemable online only” or “redeemable both in-person and online at retailer.com”, and so on.There’s nothing wrong with an online-only e-gift card – in fact, many people prefer shopping online – but you should take the preferences of the recipient into account, and alert them to the fact that their card can’t be redeemed in person, should you purchase an online-only card. You should also try to purchase a card that has enough balance to cover shipping charges. You should also try to understand the redemption process itself, if your eGift card can be used in person. Does the recipient need to print out the code itself? A QR code? Can they use a smartphone application or digital wallet? First-time users of eGift cards can often be intimidated by the experience of approaching a cash register without a physical method of payment, so you should be able to provide them with clear, simple instructions as to what they should expect when they reach the register. You Don’t Have To Worry About Losing eGift Cards. This is, perhaps, the best part about buying eGift cards. Unlike a physical gift card, you never have to worry about truly losing an eGift card balance. There is almost always a digital “paper trail”. The purchaser will have information about the actual purchase of the card, including receipts and other transaction information. The recipient will also have a digital confirmation of the purchase, and if they have already redeemed the card, they have likely provided some personal information such as email and physical addresses, phone numbers, and other basic contact info that can be used to confirm their identity. Because of these facts, it’s easy to trace the path of an eGift card. If you know that the recipient’s email was entered properly during the buying process, there will always be a way to retrace your steps and find the email notification, provided that it has not been deleted. You can even contact the issuer of the gift card with the details of your purchase, and ask for them to resend the original notification email – though they will typically not change the email that they sent the information to, they are usually willing to resend the eGift card to the original email. This is not the case with a traditional gift card. If you have the original receipt, you can sometimes get a card reissued – but not always, and these replacement cards almost always cost you a fee. eGift cards, once redeemed, are basically impossible to lose – making them a great choice if you have friends or loved ones who have issues keeping track of their gift cards. There are other benefits to eGift cards, as well – they’re nearly fraud-proof. 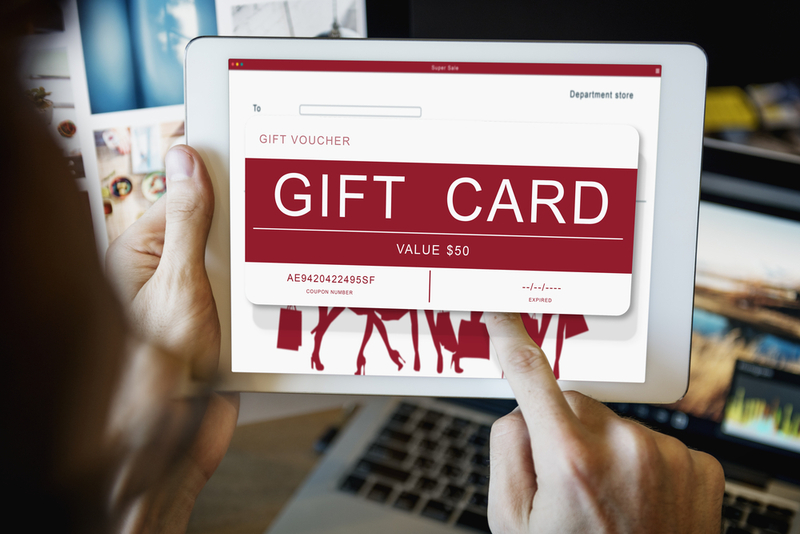 Unlike a physical gift card, there is no way for a criminal to gain physical access to an eGift card, making them much more safe for redemption, and preventing common gift card scams. One of the most common gift card scams involved criminals getting their hands on physical cards, copying their information, and then using that information to check the balances on gift cards. Once the cards are activated by a legitimate consumer, the criminal then uses the balance either online or in-person – before the consumer can do so. This scam requires the physical presence of a gift card to pull off, and eGift cards totally avoid this. Because criminals can’t access eGift cards, and their codes are generated upon receipt of payment, they’re considered incredibly secure – beyond a complete hack and breach of security from the parent retailer, there’s no way for eGift cards to be compromised by fraudsters and criminals. These simple eGift card buying tips should allow you to make your next purchase totally hassle-free. eGift cards are certainly a bit more complex than physical gift cards, but the safety, security, loss-free design, and convenience of these digitally based gift cards makes them a great choice if you’re looking for a simple way to purchase gift cards from the comfort of your own home. It will certainly be interesting to see how the eGift card market changes in the next several years – digital gift cards are slated to reach a $15 billion market share in 2017 – and as the technology and redemption processes used for them continue to advance, they’re sure to continue to grow. Got Gift Cards You Don’t Need? Sell Them At EJ Gift Cards! Physical, digital, or any combination of the two – sometimes you get gift cards you don’t need. If you’ve been holding onto physical gift cards or eGift card codes that you don’t need and are looking for a place to sell them, look no further than EJ Gift Cards. We accept a huge variety of gift cards – including some fully digital cards – so we can provide you with a reasonable offer for your unwanted gift cards, and pay out instantly via PayPal. The process is simple. First, enter the details of your gift card – balance remaining, brand of card, and so on. We’ll provide you with a quote – and it’s up to you to decide if you’d like to sell. We’ll never lock you into a sale you don’t want. If you decide to sell, you continue through our step-by-step process by entering your gift card information – number, PIN, and any other relevant details – and then, as soon as we receive the details of your card and verify it, you’ll be paid through PayPal. If your card must be mailed to us, we pay out upon receipt of the card itself and it’s validity. It’s just that simple, and our customer support team is always available to help you if you have issues selling your unwanted gift cards. So don’t let the money on your gift cards go to waste. Sell your balances on EJ Gift Cards, and get paid cash – fast – by the best gift card buyer online.